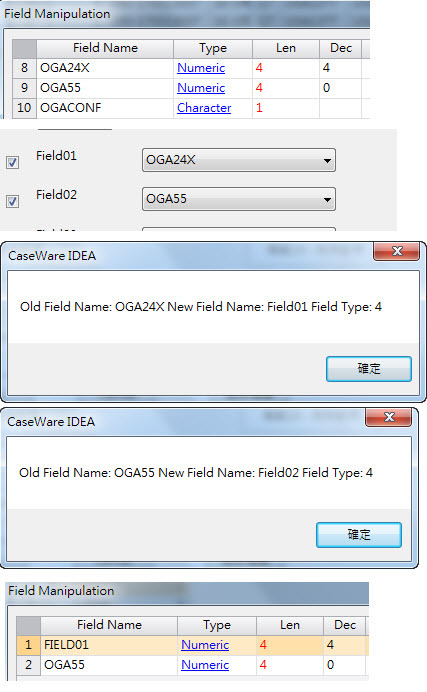 MsgBox "The field could not be renamed"
In IDEA 10, I try to used this function, but it seems can't rename the field for field type is Number type. I think I found the problem. Redownload the file and try again. I just had it working for me in 10.2 for a numeric field. Let me know if you find anything else. Thanks for so quick reply my question. I redownload the file and found what you modify. But the problem still not solve in my script when used the function. Btw, my IDEA version is 10.1.6.3 (X86 Unicode). That is strange, unfortunately I don't have the unicode version of IDEA so I can't ask you for a copy of your code. Can you do a screen capture of the error and post it here for me to see, maybe that will tell me something. I screen capture some pictures with simple descriptipn, hope those information could help to you find my problems. Thanks for the pdf file, that helps out. So from what I can tell it does work on OGA00 numeric field changing it to FIELD01 and it works on the character fields. So where I would first look is to see if there is a problem with capturing the FIELD05 and FIELD06 drop-downs. Did you try this on other files and did it work properly for FIELD05 and FIELD06? FIELD05 & FIELD06 could work, if the field type is not numeric. There are 5 numeric fields. I created a script to loop through the fields and if they are numeric to change their name. When you are running the script does it give any errors or it just doesn't rename the numeric fields? Also can you rename one of the fields and make a cope of the IDEAScript in the history, I want to see if there is anything that looks different from my code. When I run my Script, it does not show any error, it just doesn't rename the numeric fields. I find a strange thing. If I change the field name that the field type is numeric and run my program it could work in numeric field. This is getting strange. The next thing is to try and figure out what is going on in the function and why it is not changing the code. Can you add the following line after the iFieldType = field.Type in the renameFields() function. This way you can see if the proper field names are being sent to the function and what type IDEA thinks it is. If you could let me know what it shows for the ones that don't get changed it might help out to understand what is going on with the code. I am really at a loss to what is going on here. The script works on one field but not on the other but will work if you change the name, that doesn't make sense. If you try changing the name of one of the problem fields using your modify field script above does it work. Now I am wondering if directly modifying the field name will work or not. No matter I used above script (ModifyField) or directly modifying the field name , it is work. I am really at a loss right now about why it is not working. It works on some fields not but others, it works when you change the field name, etc. Unfortunately you have the unicode file so I can't ask you for a copy of a portion of it to play with it to see if I can figure it out. So right now I am at a loss how to get it working. Thanks for your help again. For now, I think maybe it's my source file cause this problem, I will try to find out what happened. If I find out what happen, I will let you know. 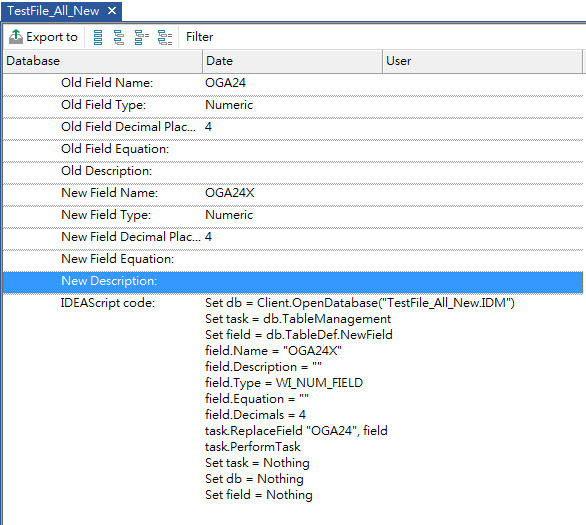 Please I have many files i want to append but the field types are not different. 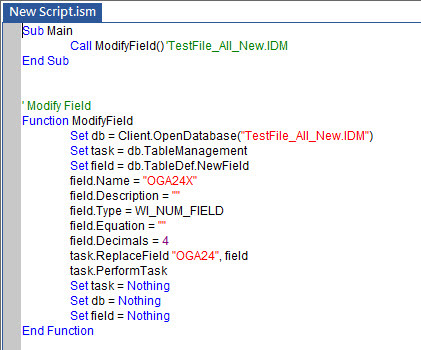 Please help with script that with append the files irrespective of the field types. the fields types are not the same.